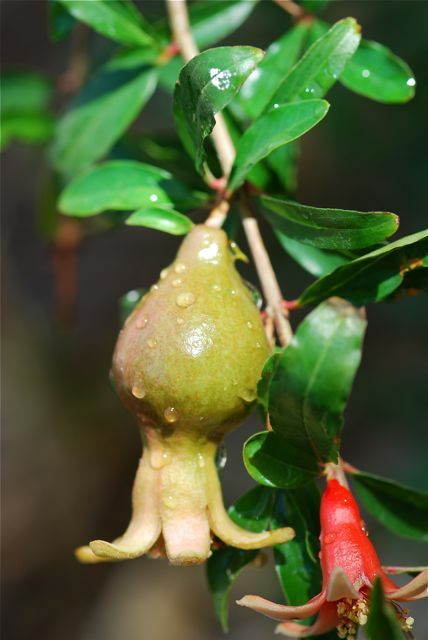 Heather correctly recognized our aril-covered seeds last week as pomegranate, Punica granatum. Pomegranates are originally from the Middle East. They grow wonderfully well in Arizona's heat and alkaline soils. 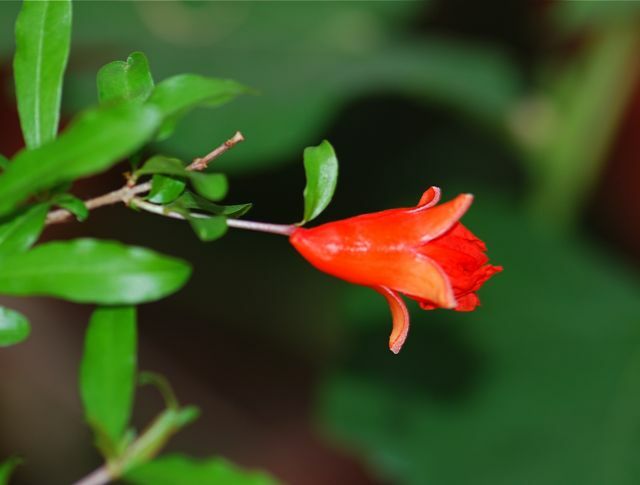 In fact, some people grow them as landscape plants for their lovely red-orange flowers. The plants readily produce fruit. My son started our dwarf pomegranates from the seeds of a fruit. 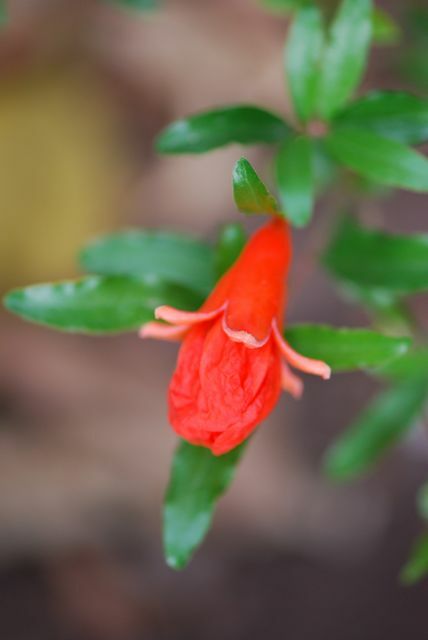 Ours only reach a few feet tall, but some varieties are large shrubs or even small trees up to 20 feet tall. 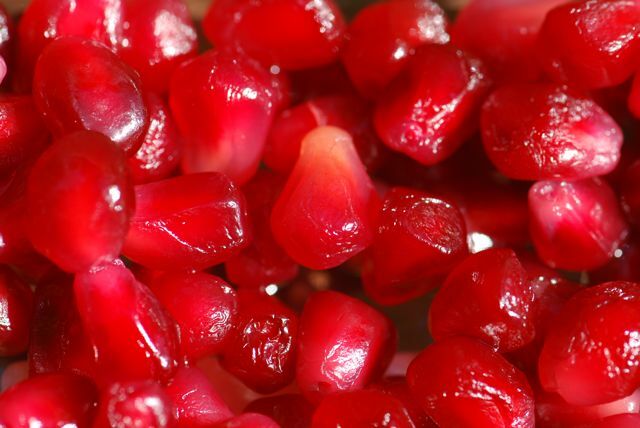 If you are not familiar with the pomegranate, you eat the fleshy part around the seeds. You can consume the seeds as well, or spit them out. The fleshy part is called the aril, which is a botanical term for any outgrowth of the attachment point of the seed in the ovary. In this video, you can see one way to handle separating the seeds from the white pithy material within the fruit. Do pomegranates grow where you live? What is you favorite way to eat one? Purdue has more information about pomegranates.